Why Use Coldwell Banker Dew Realty? A remarkable ranch style home that has been updated to perfection on 11.65 pristine acres! Located at the end of a private gravel road and less than 10 minutes to Ashland. The owners have lovingly remodeled this home with timeless finishes and created an absolute paradise inside and out. Your gourmet kitchen awaits with all new white shaker cabinetry, stainless steel appliances with gas cook top, beautiful quartzite tops, island with seating area, custom pantry closet and eat-in area with bay window offering views of the meticulously landscaped grounds. The main dining area flows seamlessly into the 2-story great room with Jotul wood stove and slider doors to the deck. Hardwood flooring throughout the first floor and beautiful tile in the bathrooms, laundry/mud room and kitchen. All bathrooms including the master en suite have been FULLY renovated to perfection. The 2nd floor, with its own HVAC system, offers a great flex space loft area and bedroom # 4. All newer systems, roof, back up generator and automatic outdoor landscape lighting make for easy, low maintenance country living with convenient access to commuter routes and the charming town of Ashland. Come fall in love! Please, send me more information on this property: MLS# 1905433 – $535,000 – 11352 River Land Hills, Hanover, VA 23005. 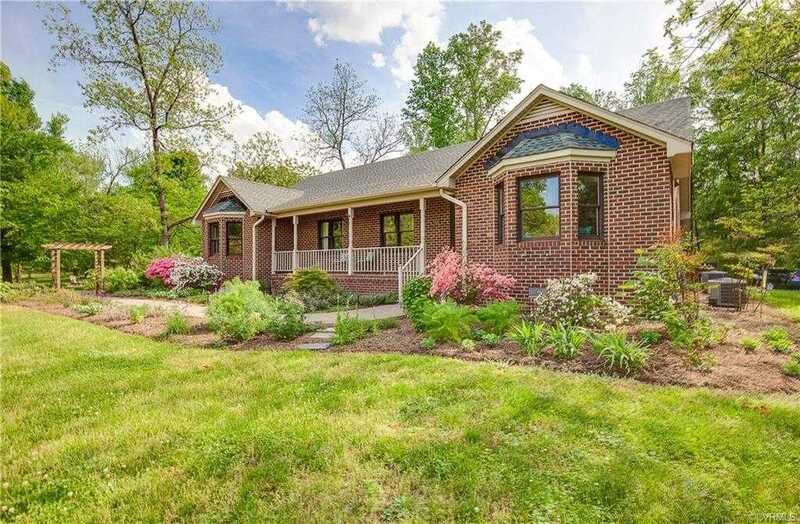 I would like to schedule a showing appointment for this property: MLS# 1905433 – $535,000 – 11352 River Land Hills, Hanover, VA 23005. © 2017 Coldwell Banker Real Estate LLC. All Rights Reserved. Coldwell Banker Real Estate LLC fully supports that principles of the Fair Housing Act. Each Office Is Independently Owner And Opperated. Coldwell Banker and the Coldwell Banker Logo are registered service marks owned by Coldwell Banker Real Estate LLC. 2019 Coldwell Banker Dew Realty, Inc. All Rights Reserved. Real Estate Website Design powered by Home Junction. Copyright © 2019 Central Virginia Regional MLS. All Rights Reserved.